Wedding photography is not easy, In fact it is very difficult. Capturing emotional moments which happen so quickly under different lighting conditions can be a daunting, but there is nothing that compares to the exhilaration of knowing you got “the shot”. I absolutely love what I do and feel very blessed that I can make a living doing what I love. I love wedding photography. Truth is, I love all kinds of photography, but especially wedding photography. I love the laughter. I love the tears. I love the emotion. I love the beauty. I love being there on that special day with a bride and groom. Best of all, I love capturing moments filled with emotion. Weddings are the perfect avenue to do just that. Can you think of a life event that has so many different emotions attached to it? A bride looking in the mirror anticipating the event she has waited for most of her life. The look on a groom’s face as he sees his bride walk down the aisle. A father about to walk his daughter down the aisle, proud of his little girl and wondering how she grew up so fast. A couple just married, having a quick second alone before going off to meet their guests. I love freezing these moments for people, the moments they will want to remember for a lifetime. I received a thank you card last week from a very special couple I didn’t meet until their wedding day. Laura and Todd are from Minnesota and they chose to have a destination wedding in a private resort in Big Sur CA. 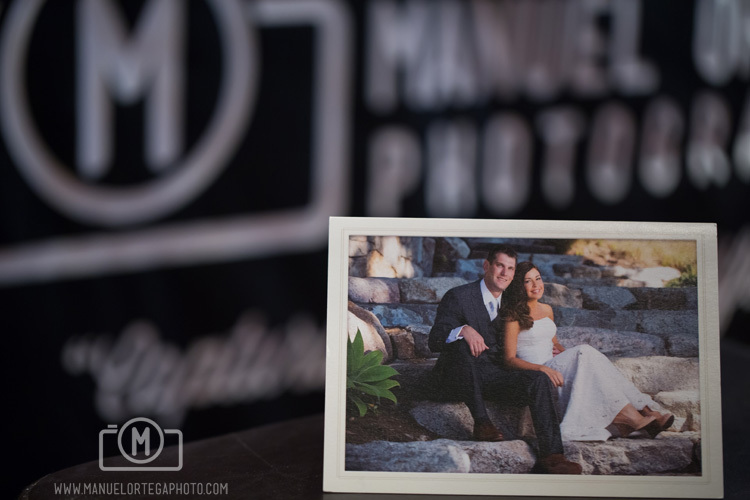 When Laura called me, I felt honored to have been chosen to be their wedding photographer. I felt an immediate connection with her infectious personality and I just knew her wedding would be a lot of fun. I spent one day with Laura and Todd and it is a day I will never forget. Trekking the short trail at Julia Pfeiffer Burns state park for some formal wedding photography shots with the iconic waterfall as a backdrop was a lot of fun and one of the many highlights of the day. 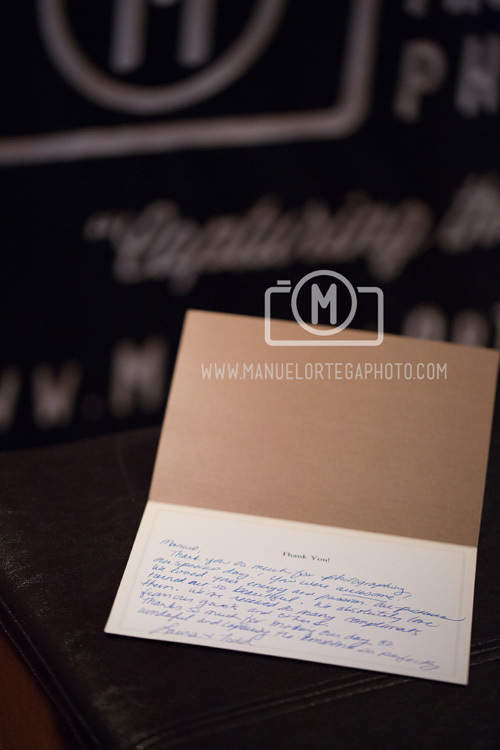 It’s always nice when a couple recognizes the hard work you put into their special day, so when I received their custom hand written thank you card (with a photo I took) I was very happy to say the least. The following is their testimonial, which makes me love what I do even more.. Most brides-to-be stress over their dress, shoes, the cake, the guest list, the right Monterey Bay Photographer and a myriad of other things that they dread may go wrong on their wedding day. Yet, far too many neglect their makeup choices. While it may seem straightforward, your wedding photographs can turn out to be a disaster if your makeup is done incorrectly, so you should only trust the job to the right professional such as Bianca Giuriato at M.U.A.H. Makeup & Hair, winners of the prestigious “Bride’s Choice Awards 2013” Only the top 5 percent of wedding makeup artists nationwide win this award & they are located right here in the Monterey Bay area! 1) You need a makeup artist who understands lighting. The relationship between makeup and lighting must be recognized or you risk shine reflections or even whole areas of your face being blotted out by light once your photograph is taken. In fact, some makeup is specially made to reflect light to create a glow while some naturally reflect it despite not being made to do so. Someone who has worked with different makeup or various professional Photographers in Salinas will be able to make the best choices based on past experiences. 2) The wrong foundation can cause unwanted shine. Powders and foundations differ in how they reflect light, so they can look very different in photographs. The wrong makeup can cause your face to look shiny or bright in some areas, causing your skin to look oily or uneven. Additionally, badly applied makeup can cause reflections because it simply does not show up well in flash photography. 3) You need to look natural. A competent and professional makeup artist knows that the best choice of makeup is the one that works with your skin tone, since this will give you the most natural look in your photographs. You therefore need someone who will match the perfect colors to create a palette that compliments you. He or she will also have to keep your theme, venue and the time of day in mind. Your wedding photos will not look good no matter how great your face looks if you fail to blend your makeup well. A professional makeup artist will know how to blend in your foundation so that your face and neck match. Otherwise, you could have the horror of your head looking as if it belongs on a different body. Makeup with sunblock sounds like a good idea, but it can contribute to “ghostly white” images. In fact, anything that says “titanium dioxide”, “aluminum oxide” or “zinc oxide” can cause your face to look whiter than your body once flash is used. A professional makeup artist should know what can and cannot be used under the circumstance. Be sure to stay away from silver eyeshadows and other shimmery products as they tend to photograph in baby blue. Lastly, makeup done incorrectly can run, fade or crack and this will look horrible once captured by your Salinas Wedding Photographers. There is no guarantee you will be able to pull away from the festivities, so you want a look that will last. Plus, even if you do get to freshen your makeup, chances are there are bound to be a few unflattering photographs taken in between trips to the bathroom. Why risk it? 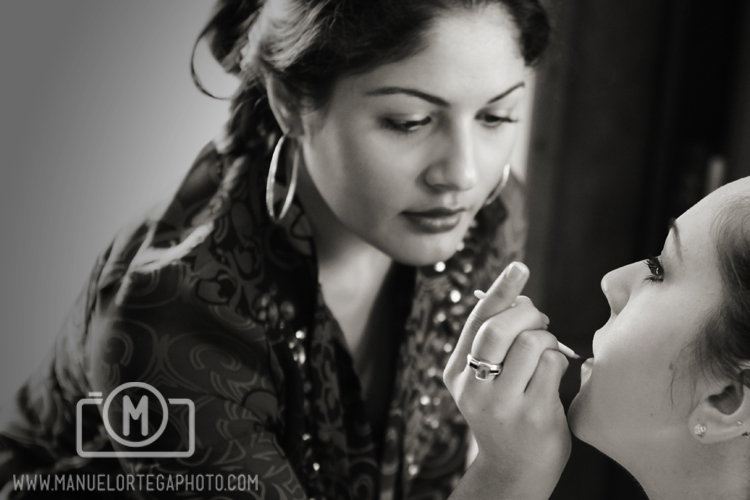 Bianca has applied her wedding makeup artistry at weddings in Monterey CA, Carmel CA, Pebble Beach, Carmel Valley, San Jose, Santa Cruz, San Francisco and destinations throughout the country. She can be reached on her blog as well as her Facebook page. Bad lighting can make wedding photographs look like a sea of dark figures; however, it is not uncommon for venues to be dark. In fact, the inside of a church or tent can make lighting an issue. Plus, late weddings are likely to have some darkness issues as well, no matter how much artificial light there is. The only fix to this is to ensure that your Salinas Wedding Photographer has the right equipment to take great photographs no matter the available light. Therefore, this is something you should inquire about during your consultation. Entry level DSLR’s and point-and-shoot cameras are unlikely to produce great photographs when used in dark venues. In fact, even when they manage to capture the main subject, the surrounding people and things can look like an ugly cloud of black. Additionally, the camera used under such circumstances need to have the right manual settings for proper adjustment. Professional Wedding Photographers in Salinas should understand this, so you should only choose one with the best professional-grade equipment. It is best to have as much natural light as you can. However, this is not always possible, so you must ensure that the cameras being used can take quality pictures in any light. This is possible by adjusting a few manual settings, but the best professional-grade cameras offer the best photographs in conditions where natural light is lacking. It is highly likely that photographs taken in a dark room will look unnatural when direct flash photography is used. Additionally, pictures may lack the life-like qualities that are often added when movement is captured or a person’s features. With the right camera, your photographer can easily turn the flash off, adjust the settings (such as the ISO and aperture) and end up getting beautiful pictures that look like they were taken in a well-lit area. Some lenses do poorly at allowing photographers to capture light while others can provide 2 to 4 times more light than the room naturally has (even more). Therefore, this feature cannot be neglected when choosing lenses for a dark wedding venues. Otherwise, your photos could just be a big blur. Much of this will not mean anything to non-professionals, but it is good to know that the Monterey Bay Photographer you choose has them. In fact, it is always good to see the equipment beforehand. If necessary, take the time to do some research so you can understand the basics, you will be glad you did when the big day comes. Not knowing how the day would turn out due to weather, we ended up having an awesome day! What an amazing day this was! Charlie contacted me to see if I could capture his special Valentines day at Leal Vineyards in Hollister CA. Charlie planned to propose to his girlfriend Laura & only I and the staff at Leal Vineyards knew his plan. He arrived earlier in the day and decorated a hidden cave at the vineyard. Photos of their times together were displayed, candles were lit and music played. This was definitely one of my favorite Engagement Photography Sessions I’ve ever had the honor of photographing. Salinas Wedding and Engagement photography Leal Vineyards Hollister CA from Manuel Ortega on Vimeo. Congratulations to Melissa and Daniel! What a beautiful wedding in Cannery Row in Monterey. 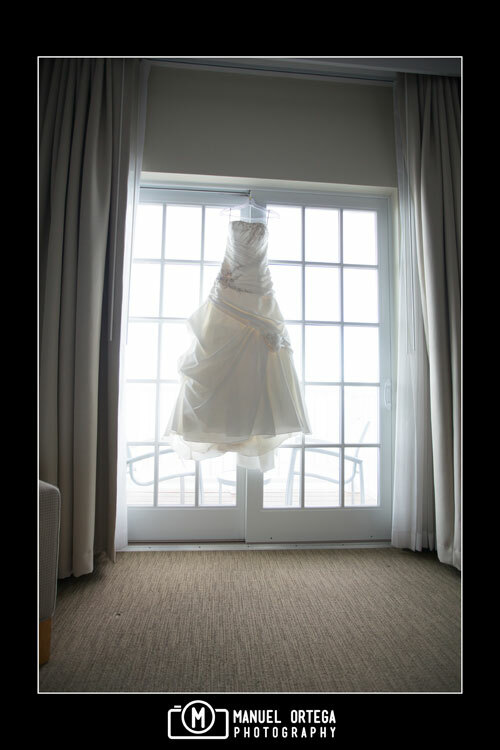 The Clement Monterey an Intercontinental Hotel is a stunning place to get married and a Monterey wedding photographers dream come true! There definitely wasn’t a shortage pristine locations with beautiful photography backdrops. I couldn’t help but think of the history as we walked up and down the streets. I imagined what it must have been like in the times of John Steinbeck. Engagement Photography at Garland Ranch in Carmel Valley with Lorena & Danny! Here is my television commercial showcasing my wedding photography which will be airing throughout Salinas, Pebble Beach, Santa Cruz & Monterey Bay area!